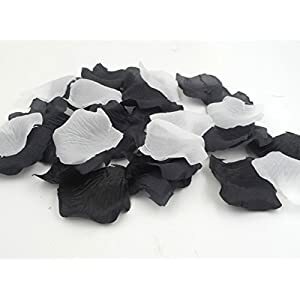 Latex fake flowers not only have the beautiful appearance of flowers, but in addition last more life time than fresh flowers. 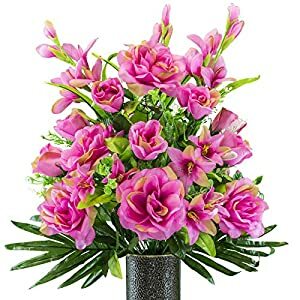 They stay as beautiful as the day you get them and you don’t have to fret about breaking any leaves or peddles or stems. It is a great decorations for scenes such as home, place of business, wedding, party and the like. 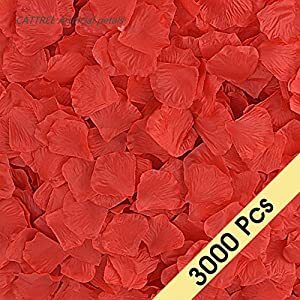 Petals and leaves: Fine quality latex, soft and easy to wash, leaves with clear texture. The inner wire is easy to bend, and the out of doors is wrapped with eco-friendly and odorless plastic to make the appearance more realistic. 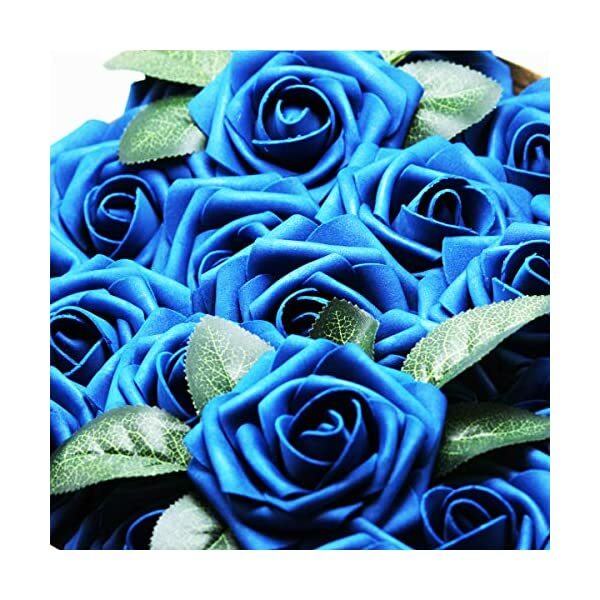 Artificial rose leaves are made of latex, and the flowers are full-dimensional and vivid. 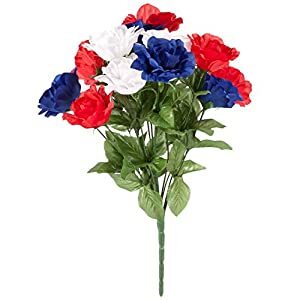 There may be wire within the flower branch, so it may be cut or bent to a suitable length in a vase. Flowers, leaves are hand-cut, is not going to easily fall, you’ll also unplug the reorganization, is the very best choice for wedding bridal bouquets. 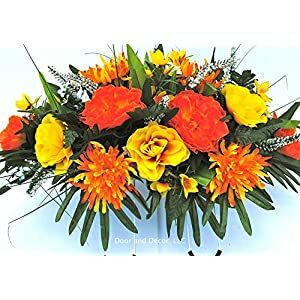 Suitable for weddings, parties, homes, offices and other occasions, so as to add dynamism on your party, wedding or home environment. 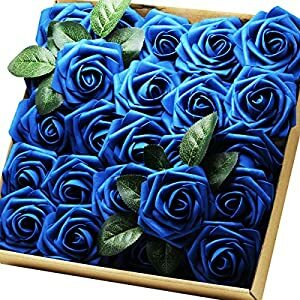 The bouquet is packaged in a phenomenal gift box and is your only option for a friend as a gift! 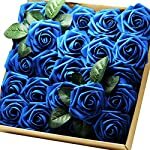 25pcs artificial roses, with 4 complimentary leaves. 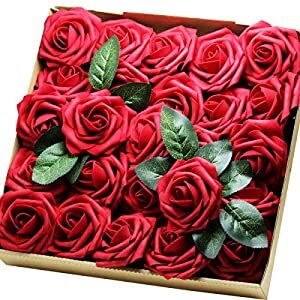 Each and every rose head is approx. 2-3/4 inches, the stem is about 7 inches long. 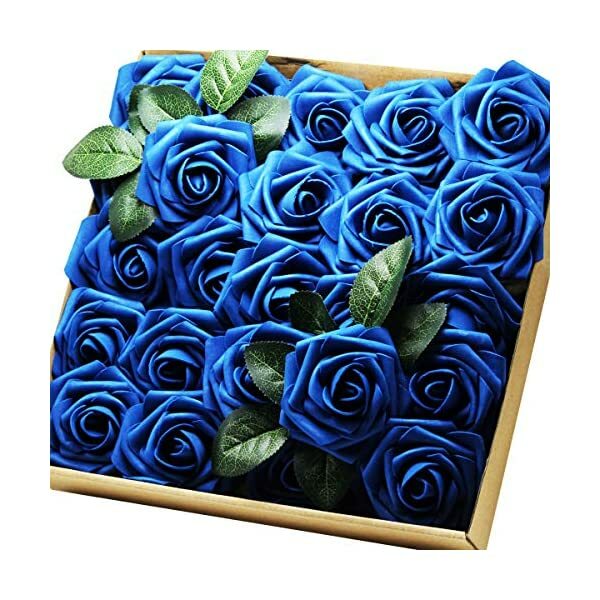 SEARCH TERMS Garden artificial flower, artificial real flower, attractive plastic flowers, diy home flowers, garden improvement flower, latex flowers, plastic flowers for decorations. 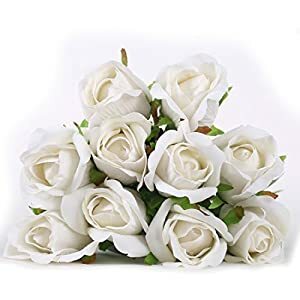 ✿Artificial Roses create romantic beauty that allows you to enjoy poetic home life to your kitchen, windowsill, living room, dining table, bedroom, front porch, garden, veranda, balcony with these fake flowers. 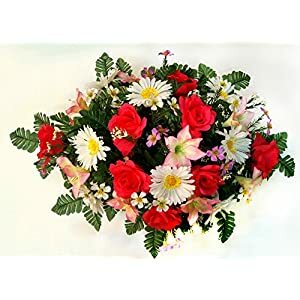 ✿Fake flowers Roses bouquet has unique flower heads and bushy leaves with plastic stems, length approx. 7 inch. 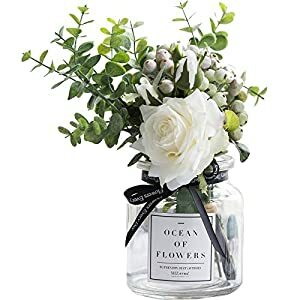 You may also bend or prune to create DIY floral arrangements decor that fits perfectly in your satisfying taste. 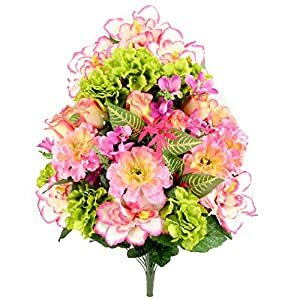 ✿Artificial flowers is also squeezed and deformed in transit, You may also adjust the branches to probably the most natural state after displaying it. 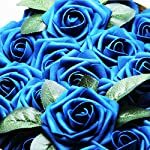 ✿Latex flowers fit for wedding bridal bouquets and flowers décor, table center pieces, home indoor décor, garden out of doors use, place of business, party, anniversary, cemetery, Valentine’s Day and Christmas decorations. 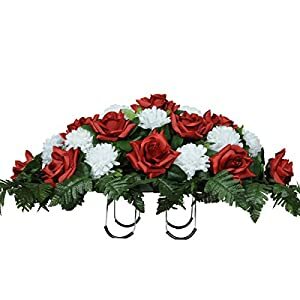 ✿Plastic flowers are UV resistant and vivid realistic, will also be put anywhere the hot/cold weather kills much fresh flowers and all the time vibrant and alive with you. rose head 4 inches, stem 7 inches.